Authorities of the Presidential Villa, Abuja have ordered a comprehensive audit of security personnel and forces deployed in the seat of power. The audit may have been necessitated by the ongoing inter-agency rivalry in the Villa. Abubakar requested that the required information should be forwarded to his office latest by Monday (yesterday). The memo read, “The need for proper accountability by all security forces and personnel deployed within the Presidential Villa cannot be over-emphasised. “This has made it imperative to collate an updated nominal roll for all security forces and personnel deployed within the Presidential Villa performing physical security duties for proper accountability and deployment. Meanwhile, officials of the Department of State Services who were removed from their beats and locations inside the Presidential Villa have yet to return to their duty posts on Monday. 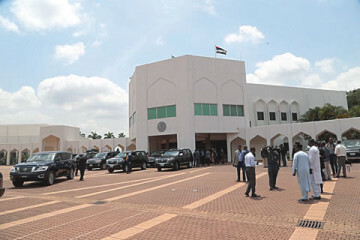 That was despite an order by the Chief Security Officer to the President, Mr. Abdulrahman Mani, that they should disregard a directive by the ADC removing them from spots where they could perform “close protection roles” for the President.